Quantitative chemistry calculations online Help for problem solving in doing mole calculations, using experiment data, making predictions. Practice revision questions on mole calculations, moles mass and molecular/formula mass formula. This page describes and explains the concept of the mole with lots of fully worked out examples of mole calculations. You should learn the formula connecting moles, mass and formula/molecular mass and methods for solving mole based problems. The ideas are extended to show how to deduce a balanced symbol equations by converting masses of reactants and products to moles and from the whole number ratio deduce the balanced equation. 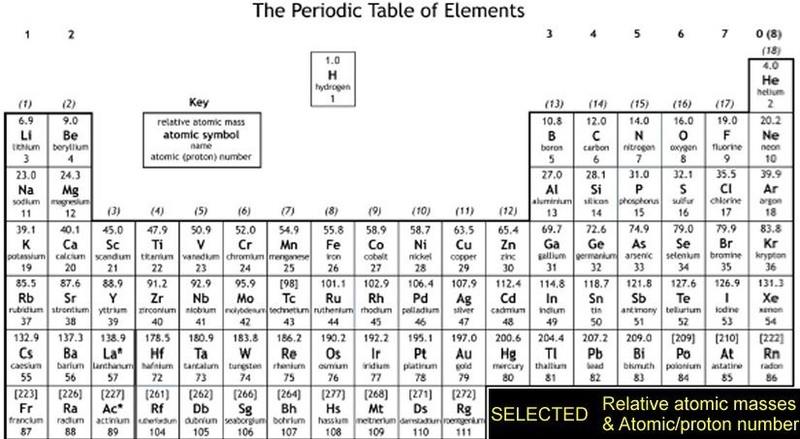 Online practice exam chemistry CALCULATIONS and solved problems for KS4 Science GCSE/IGCSE CHEMISTRY and basic starter chemical calculations for A level GCE AS-A2-IB courses. These revision notes and practice questions on mole calculations in chemistry and worked examples should prove useful for the new AQA, Edexcel and OCR GCSE (9–1) chemistry science courses. These revision notes and practice questions as an introduction to the mole and using the mole in chemical calculations and worked examples should prove useful for the new AQA, Edexcel and OCR GCSE (9–1) chemistry science courses. Spotted any careless error? EMAIL query? comment or request a type of GCSE calculation not covered? (a) WHAT IS THE MOLE CONCEPT? and WHAT IS ONE MOLE OF A SUBSTANCE? For the purposes of calculations chemical amounts are primarily measured in moles (but sometimes just masses are ok). The symbol for the unit mole is mol and the mass of one mole of a substance in grams is numerically equal to its relative formula mass (can be atomic mass or molecular mass - see below). In the latter you can consider 1 mole of K2O made up of 2 mol of potassium ions and 1 mol oxide ion. One mole of a substance contains the same number of the stated particles, atoms, molecules or ions as one mole of any other substance. So all the three described above have the same number of defined particles. The number of atoms, molecules or ions in a mole of a given substance is the Avogadro constant. The value of the Avogadro constant (denoted by NA) is 6.02 x 1023 per mole of particles of whatever you have specifically defined e.g. sulfate ion SO42-, sodium ion Na+, ammonium ion NH4+ etc. 6.02 x 1023 Fe atoms, 6.02 x 1023 O2 molecules, C3H8 molecules and 6.02 x 1023 'K2O's. and 6.02 x 1023 oxide ions. You must be versatile in your mol thinking! You should understand and how to use measurement of the amounts in moles and apply this knowledge to calculations involving atoms, molecules, ions, electrons, formulae and equations. The 2nd part of the heading is 'easy', the first part is a bit more 'abstract' to get your head round! The mole concept is an invaluable way of solving many quantitative problems in chemistry! Its a very important way of doing chemical calculations! The theoretical basis is explained in section (b). The mole is most simply expressed as the relative 'formula mass in g' or the 'molecular mass in g' of the defined chemical 'species', and that is how it is used in most chemical calculations. The mass of one mole of a substance is sometimes referred to as the molar mass. The atomic/formula mass in grams = one mole of the defined substance. If your are dealing with individual atoms, one mole of equals the relative atomic mass in grams. but, whatever, you must clearly define the chemical species you mean for any mole calculation e.g. Al metal element atom, H2O covalent molecule, an element O2 molecule, Na+Cl- ionic compound or just any compound formula like CuSO4 etc. etc. This specificity cannot be overemphasised and you should understand that the measurement of amounts in moles can apply to atoms, molecules, ions, electrons, formulae and equations !!! Mr is 'shorthand' for relative formula mass or molecular mass in amu (atomic mass units, u or dalton Da) and you must be able to work these out correctly from a given formula (Calculating relative formula/molecular mass of a compound or element molecule). The term relative molecular mass (sum of the atomic masses of the atoms in a single molecule of the substance) is usually applied to definite molecular species. So, these calculations are quite simple, but they are often just one part of solving a more complex problem involving moles! The term relative formula mass (sum of the atomic masses of the atoms in a specified formula) can be used for ANY specified formula of ANY chemical substance, though it is most often applied to ionic substances. The mole concept can be extended to reading equations in terms of moles e.g. This reading of equations in terms of moles of reactants and products is important in calculations AND the process can be reversed, in other words, given the masses of reactants and products, you can convert them to moles and work out the balanced symbol equation. where Z represents atoms, molecules or formula of the particular element or compound defined in the question and all masses quoted in grams (g). (a) How many moles of hydrogen (H2) in 10 g of the gas? (b) What is the mass of 5 moles of iron? (c) How many moles of copper sulfate (CuSO4) in 2.6 g of the salt? (d) What is the mass of 3.5 moles of magnesium oxide (MgO)? (e) 0.15 moles of a compound Y had a mass of 21.0 g, calculate the formula mass of Y. (f) 0.0025 moles of a compound Z had a mass of 0.5125 g, calculate the formula mass of Z.
which consists of 1 mole of nitrogen atoms combined with 3 moles of hydrogen atoms. Or you could say 2 moles of ammonia is formed from 1 mole of nitrogen molecules (N2) combining with 3 moles of hydrogen molecules (H2). The latter is a better way to look at ammonia formation because nitrogen and hydrogen exist as diatomic molecules and NOT individual atoms. You can then think in any ratio you want e.g. 0.05 mol nitrogen combines with 0.15 mol hydrogen to form 0.10 mol of ammonia. So, you can calculate using any mole ratio on the basis of the 1 : 3 : 2 ratio (or 1 : 3 ==> 2) of the reactants and products in the balanced symbol equation. Al2O3, consists of 2 moles of aluminium atoms combined with 3 moles of oxygen atoms (or 1.5 moles of O2 molecules) to form 1 mole of aluminium oxide. To avoid awkward fractions in equations you can say 4 moles of aluminium atoms combine with exactly 3 moles of oxygen molecules to form 2 moles of aluminium oxide. How do you go from a reacting mole ratio to reacting mass ratio? You read the equation in relative numbers of moles and convert the moles into mass. e.g. the formation of copper(II) chloride from copper(II) oxide and hydrochloric acid. This can be useful for calculating the quantities of chemicals you need for e.g. the chemical preparation of a compound. (a) Calculate how many grams of copper(II) oxide you need to dissolve in hydrochloric acid to make 0.25 moles of copper(II) chloride? (b) What mass of aluminium metal do you need to make 0.1 moles of aluminium oxide? Note that you can pick out the ratio you need to solve a problem - you DON'T need all the numbers of the full molar ratio, all you do is pick out the relevant ratio! How many moles of potassium ions and bromide ions are there in 0.25 moles of potassium bromide? 1 mole of KBr contains 1 mole of potassium ions (K+) and 1 mole of bromide ions (Br-). So there will be 0.25 moles of each ion. How many moles of calcium ions and chloride ions are there in 2.5 moles of calcium chloride? 1 mole of CaCl2 consists of 1 mole of calcium ions (Ca2+) and 2 moles of chloride ion (Cl-). So there will be 2.5 x 1 = 2.5 moles of calcium ions and 2.5 x 2 = 5 moles chloride ions. How many moles of lead and oxygen atoms are needed to make 5 moles of lead dioxide? 1 mole of PbO2 contains 1 mole of lead combined with 2 moles of oxygen atoms (or 1 mole of oxygen molecules O2). So 1 x 5 = 5 mol of lead atoms and 2 x 5 = 10 mol of oxygen atoms (or 5 mol oxygen molecules) are needed. How many moles of aluminium ions and sulphate ions are in 2 moles of aluminium sulphate? 1 mole of Al2(SO4)3 contains 2 moles of aluminium ions (Al3+) and 3 moles of sulphate ion (SO42-). So there will be 2 x 2 = 4 mol aluminium ions and 2 x 3 = 6 mol of sulphate ion. 0.25 moles of molecule X was found to have a mass of 28g. What mass and moles of magnesium chloride are formed when 5g of magnesium oxide is dissolved in excess hydrochloric acid? What mass and moles of sodium chloride is formed when 21.2g of sodium carbonate is reacted with excess dilute hydrochloric acid? therefore 2 x 0.2 = 0.4 mol of NaCl formed. Since you can interpret equations in terms of moles and masses of reactants and products, you can also work in the other direction. e.g. if you know reactant and product masses, you can convert them to moles and from the simplest whole number ratio work out a balanced chemical equation. (i) Calculate the mass of oxygen that combined with the iron. (ii) Calculate the moles of iron and oxygen that combined to give the iron oxide. 3Fe + 2O2 ===> ? (b) It was found that 14.0 g of lithium (Li) reacted with 16.0 g of oxygen (O2) to form 30 g of lithium oxide (Li2O). Convert the masses to moles and deduce the balanced equation from the mole ratios calculated. It was found that 7.95 g copper oxide (CuO) was reduced by 0.6 g of carbon to form 6.35 g of copper and releasing 2.2 g of carbon dioxide. Convert the reactant and product masses to moles and deduced the balanced equation. (ii) If you have done the calculation correctly the equation should be balanced, so always do an atom count! (ii) For GCSE students the numbers are often 'perfect' but A level students may to make a reasonable judgement from ratios like 2.02 : 0.99 ==> 2.01 : 0.97 etc. (iv) Don't forget that state symbols might be required, especially at A Level. 7.75 g of solid phosphorus consumed 10 g of oxygen gas to form 17.75 g of a solid phosphorus oxide. (a) convert the masses of phosphorus and oxygen to moles of atoms and deduce the empirical formula of the phosphorus oxide. Remember empirical formula is based on the simplest whole number ratio expressed in the formula. (b) From experiments it was further deduced that the molecular mass of the phosphorus oxide was 284. (ii) From the mole ratios and your answer to (i) deduce the correctly balanced symbol equation. From your answer in (a) you need a ratio of 2 : 5 for P : O, but you must allow for the formation of P4O10 molecules and oxygen exists as diatomic molecules (O2). Iodine monofluoride gas (IF) is very unstable and above 0oC it decomposes into solid iodine (I2) and liquid iodine pentafluoride (IF5). It was found that 14.6 g of iodine monofluoride decomposed to form 10.16 g of iodine and 4.44 g of iodine pentafluoride. (a) Calculate the formula masses of the reactants and products. (c) From the mole ratios of reactants and products deduce the balanced symbol equation for the decomposition of iodine monofluoride. If you don't need to know about the Avogadro Constant, you can skip this section. One mole of a substance contains exactly the same number of the stated particles, atoms, molecules or ions as one mole of ANY other substance (must be specifically defined e.g. So, every mole of any substance contains the same number of the defined species. The actual particle number is known and is called the Avogadro Constant, denoted NA). This means in a mole of any defined species e.g. atom, molecule, ion etc. there are the Avogadro constant number of them. * This is about 18cm3, so picture this number of molecules in a nearly full 20cm3 measuring cylinder or a 100ml beaker less than 1/5th full! The Avogadro number is 6.023 x 1023 = 602 300 000 000 000 000 000 000 atoms or molecules per mole! = six hundred and two thousand and three hundred million million million 'particles' per mole ! Therefore in a thimble full of water there are ~6.023 x 1023/18 = ~3.3 x 1022 = 33 000 000 000 000 000 000 000 molecules! = thirty three thousand million million million molecules of water! So, just think how many molecules of water are in your body! The real importance of the mole is that it allows you to compare ratios of the relative amounts of reactants and products, or the element composition of a compound, at the atomic and molecular level. 1 mole of any defined chemical species has an identical number of that species, and that number is the Avogadro Number. If you have a mole ratio for A : B of 1 : 3, it means 1 particle of A to 3 particles of B irrespective of the atomic or formula masses of A and B. BUT the equation can be read in terms of any molar quantities, as long as you keep the ratios the same! What more, since you can convert moles to mass, you can do deduce the mass of product formed or the mass of reactants need. Also, since you can go from mass to moles, you can deduce equations from measuring reacting masses. where you can actually calculate the number of particles in known quantity of material ! How many water molecules are there in 1g of water, H2O ? every mole of a substance contains 6 x 1023 particles of 'it' (the Avogadro Constant). 33 400 000 000 000 000 000 000 individual H2O molecules or particles! How many atoms of iron (Fe = 56) are there in an iron filing of mass 0.001g ? (a) How many particles of 'Al2O3' are there in 51g of aluminium oxide? (b) Aluminium oxide is an ionic compound. Calculate the number of individual aluminium ions (Al3+) and oxide ions (O2-) in the same 51g of the substance. For every Al2O3 there are two Al3+ and three O2- ions. 0.5 x 3 x 6 x 1023 = 9 x 1023 O2- ions. You can have a mole of whatever you want in terms of chemical species. Using the Avogadro constant you can convert the number of mol to actual particle numbers. When you write ANY balanced chemical equation, the balancing numbers, including the un-written 1, are the reacting molar ratio of reactants and products. Al3+ + 3e- ===> Al, is read as 1 mol of aluminium ions is reduced by 3 mol of electrons to 1 mol of aluminium atoms. 2Cl- ==> Cl2 + 2e-, is read as 2 mol chloride are oxidised to release 1 mol of chlorine gas and 2 mol of electrons. QA7.1 This question involves using the mole concept and the Avogadro Constant in a variety of situations. The molar volume for gases is 24.0dm3 at 298K/101.3kPa. Where appropriate assume the temperature is 298K and the pressure 101.3kPa. (a) how many oxide ions in 2g of aluminium oxide? (b) how many molecules in 3g of hydrogen? (c) how many molecules in 1.2 cm3 of oxygen? (d) how many molecules of chlorine in 3g? (e) how many individual particles in 10g of neon? (f) the volume of hydrogen formed when 0.2g of sodium reacts with water. (g) the volume of hydrogen formed when 2g of magnesium reacts with excess acid. (i) the volume of hydrogen formed when excess zinc is added to 50 cm3 of hydrochloric acid, concentration 0.2 mol dm-3. (j) the volume of carbon dioxide formed when excess calcium carbonate is added to 75 cm3 of 0.05 mol dm-3 hydrochloric acid. introduction to mole calculations Revision KS4 Science revising introduction to mole calculations Additional Science Triple Award Science Separate Sciences Courses aid to introduction to mole calculations textbook revision GCSE/IGCSE/O level Chemistry introduction to mole calculations Information Study Notes for revising for AQA GCSE Science introduction to mole calculations, Edexcel GCSE Science/IGCSE Chemistry introduction to mole calculations & OCR 21st Century Science, OCR Gateway Science introduction to mole calculations WJEC gcse science chemistry introduction to mole calculations CEA/CEA gcse science chemistry O Level Chemistry (revise courses equal to US grade 8, grade 9 grade 10 introduction to mole calculations) A level Revision notes for GCE Advanced Subsidiary Level introduction to mole calculations AS Advanced Level A2 IB Revising introduction to mole calculations AQA GCE Chemistry OCR GCE Chemistry introduction to mole calculations Edexcel GCE Chemistry Salters Chemistry introduction to mole calculations CIE Chemistry introduction to mole calculations, WJEC GCE AS A2 Chemistry introduction to mole calculations, CCEA/CEA GCE AS A2 Chemistry revising introduction to mole calculations courses for pre-university students (equal to US grade 11 and grade 12 and AP Honours/honors level introduction to mole calculations revision guide to introduction to mole calculations how to work out a balanced symbol equation using reacting masses and moles of products.